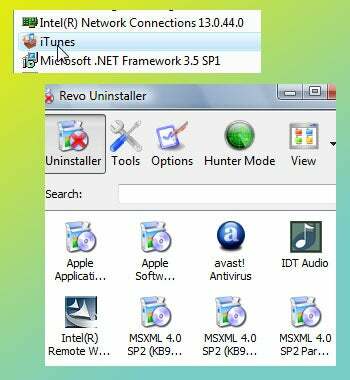 Jim Dillon heard conflicting views on whether Revo Uninstaller works with x64 versions of Windows. It's confusing. According to the VS Revo Group website, the free version of Revo Uninstaller supports "32 bit operating systems only." Yet you can run the program in an x64 Windows environment just fine. But if you look closely, you might find a problem. Although Revo works in x64 versions of Windows, it won't remove 64-bit programs. In fact, it won't even list your 64-bit programs--if you happen to have any to list. Since most of the programs you run in x64 Windows are still 32-bit, this is seldom an issue. But if you install and decide you don't like a 64-bit program, Revo won't help you. Over time, this could become a serious issue. So what are your options if you want smart uninstalls in an x64 environment. I know at least two, neither of which are free. There's Revo Uninstaller Professional, and there's Total Uninstall. Both are good, but I prefer Total Uninstall, in large part because of its superior handling of uninstalls that require a reboot.